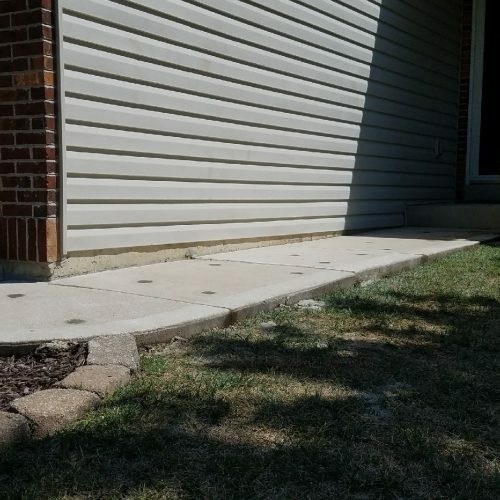 If you have exterior concrete that is beginning to sink—such as a walkway, driveway, or even a patio—then you may be wondering whether it’s possible to raise the foundation in order to make your slabs level again. 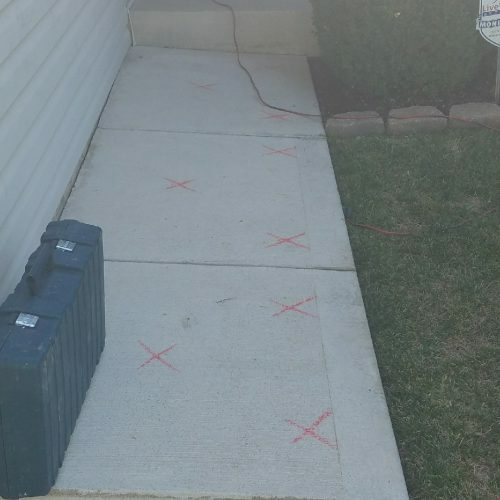 After all, making the foundation level will not only help eliminate an eyesore, but it will make your property safer. Settled concrete is a major trip and fall risk—not to mention an annoyance—at your home. Fortunately, there are solutions out there. A service called “mudjacking” might be just what you need. We’ll explain how it works and how long you can expect it to last. Simply put, mudjacking is a service that takes existing concrete which has settled and become uneven with the slabs around it and raising it up. Mudjacking is also referred to as concrete leveling and is a way to maintain your property’s concrete structures. What makes mudjacking an optimal choice as a concrete floor leveler is that it’s so simple. Instead of coming in and completely tearing up your concrete walkway, patio, or driveway, mudjacking works by drilling holes into the concrete. Those holes are then injected with a limestone/portland concrete mixture using a high-pressure pump. This forces the concrete up out of the ground where it has settled. By raising it up, your slabs can be level again. The process also fills in the empty space while re-pressurizing the soil. This form of concrete leveling is an alternative to tearing up your concrete and replacing it. Having concrete torn up is a laborious and therefore costly endeavor. Plus, it’s a headache you probably don’t want to deal with. It means having heavy equipment dragged onto your property making lots of noise and mess. But all of that can be avoided by using mudjacking instead. And, it also means keeping a lot more of your hard-earned money. In fact, this conservative approach is typically around 25 percent of the cost of tearing up and re-pouring new concrete. The last thing that you want is to have your concrete leveled only to end up needing this service again in little to no time down the road. While it’s true that concrete leveling may not last forever, it should at least buy you significant time. Mudjacking on a newer property, in which the concrete has taken less time to settle, may last around 5 to 7 years. However, on an older property, where more settling has already taken place, it could last up to 10 years. Much of it depends on the cause of the sinking. If all underlying concerns are addressed with the existing concrete, it’s possible for mudjacking to last even longer than a decade. No matter what, if not addressed, your concrete will only continue to sink—potentially to the point where it’s beyond repair and your only option is replacement. Concrete that is severely sunk may begin to form significant and numerous cracks. Mudjacking is a solution that works for most properties that have existing concrete which is sinking. If you’re wondering whether concrete leveling is the right solution for you, then we invite you to reach out for a free estimate. We’ll perform a thorough inspection of your concrete and provide the best advice for what you can do to address your problems. Most homeowners find that mudjacking is an affordable and minimally invasive solution that produces speedy results. That also means less hassle for you.